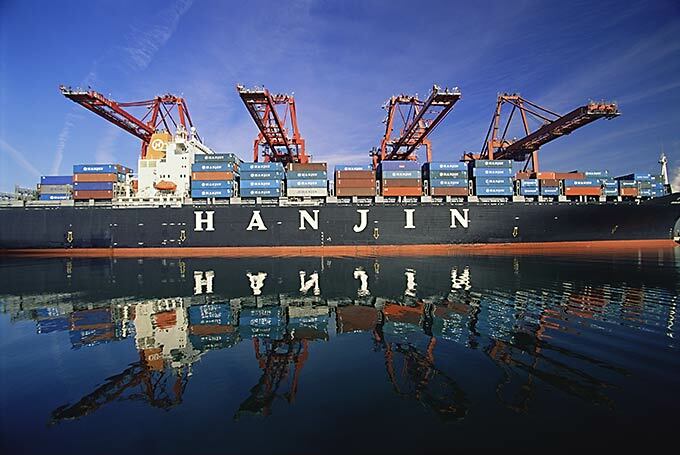 Container Ship & Reflection: Commerce: Alan Levenson - Los Angeles Portrait and Stock Photographer. Being unloaded at Los Angeles Harbor. The containers are stacked very high these days. The older height restrictions are out. Because they are stacked so high, more containers are lost to wild seas.